An exciting reprise of a beloved musical. 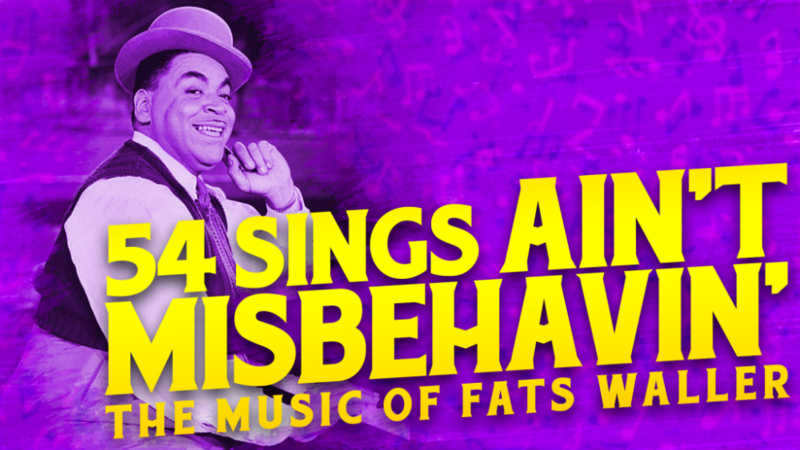 Ain’t Misbehavin’ was the little engine that could in the 1977-78 New York theatrical season. How what basically was a cabaret showcase of the music associated with the legendary Fats Waller became the hit of that season, is really no mystery. Start with great music, add a brilliant cast, superb arrangements, original choreography, colorful costumes and a director who was able to mold it with subtlety and—may I say it?—pizzazz, and the question is answered. These three joined a massively talented cast of young performers in a totally sold-out concert version of Ain’t Misbehavin’. Vocal hijinks were the order of the day, from the thrilling interpretations of the three originals to the effervescent efforts of the others. Cynthia Thomas squeezed all the sassy, girlish seduction out of “Squeeze Me” while Frenchie Davis showed her range in the World War Two ditty “Cash for Your Trash” and the romantic lament “Mean to Me.” The two combined forces on “Find Out What They Like,” milking all the winking double entendres for all they were worth. A joyous finale medley brought the show to a standing ovation end leaving only delightful earworms of all these tunes to bounce about our minds for days afterwards.